Notus :: Applied Social Research – notus-asr presents the Research on labour market and training needs in the city of Torrent, in the framework of TorrentFutur seminar. 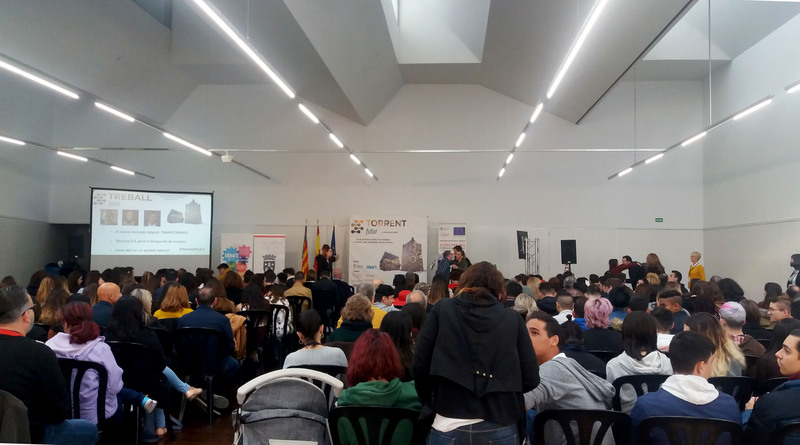 Last 2nd April, notus-asr presented the main results of the report “Research on labour market and training needs in the city of Torrent” which has been elaborated for the Municipality of this Valencian city. Presentation took place during the conference TorrentFutur, an event which aim is to analyse the impact of digitalization in employment, economic activity, sport and health in the city. For the development of the study, apart from the analysis of local and regional data, 35 key stakeholders have been interviewed including employers, public workers, representatives of training organizations, members of trade unions and employers’ organizations and representatives of social organizations, among others. Furthermore a survey on 150 enterprises has been conducted in order to know about their perspective on current and future labour offer and 2 working groups with key stakeholders has been organized. The study analyses the economic structure of the city, its current job offer, capacities and skills of its labour force and the training resources available both in the city and in surrounding areas. Taking into account internal and external dynamics identified and according with the results of the participative process, the final report identifies several priority training needs and, above all, makes a set of proposals with the aim to reinforce the Vocational and Education Training system in the city.